Whether you’re in the studio or out in the field, SanDisk Extreme PRO SDXC UHS-I Memory Cards are an ideal storage solution for professional photographers and videographers. Offering read speeds up to 95 MB/s (1), write speeds up to 90 MB/s, and a UHS Class 3 speed rating (2), these powerful memory cards are designed for continuous burst-mode shooting, Full HD and 4K Ultra HD (3) video recording, and quick file transfer. A capacity of 64GB (4) allows you to shoot longer photo and video sessions. The cards are engineered to perform dependably in extreme conditions, enabling pros to get the most out of their advanced digital cameras and camcorders. SanDisk Extreme PRO SDXC UHS-I Card (64GB). The SanDisk Extreme PRO SDHC UHS-I Memory Card is UHS Speed Class 3 (U3) rated, allowing you to capture 4K Ultra HD and Full HD video. 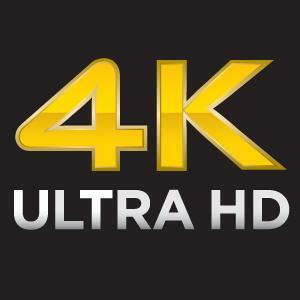 Meeting the latest high-resolution standards, your videos will look stunning on 4K Ultra HD TV screens and monitors. 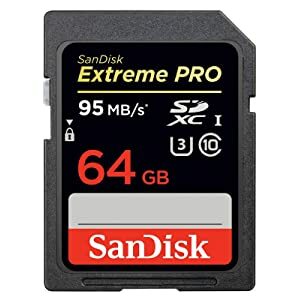 The SanDisk Extreme PRO SDXC UHS-I Memory Card was designed for professional photographers and videographers who shoot the highest quality photos and videos and need the large storage capacities these files demand. With a capacity of 64GB (4), this card lets you shoot longer photo and video sessions without stopping to download. 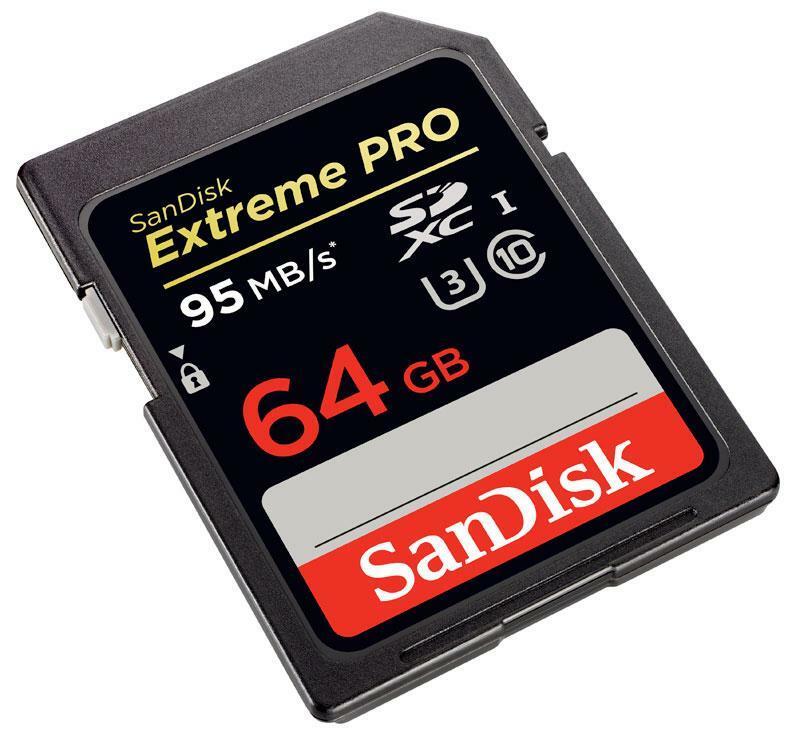 SanDisk Extreme PRO SDHC UHS-I Cards (5) are waterproof and designed to perform from -13 to 185 degrees Fahrenheit. 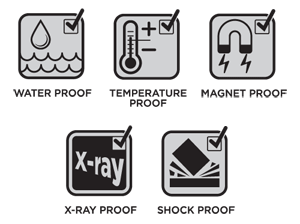 They are also shockproof and X-ray proof, so they won’t be affected by an airport’s X-ray machine. The memory card includes a jewel case to protect your card. (۱) Up to 95 MB/s read speed. Write speed up to 90 MB/s based on internal testing; performance may be lower depending on host device. 1MB = 1,000,000 bytes. 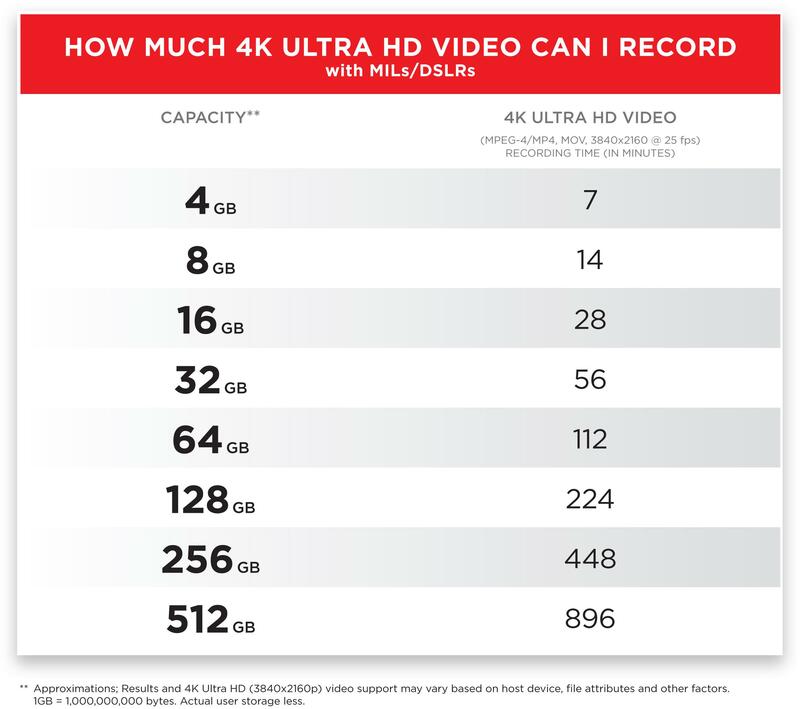 (2) UHS Speed Class 3 designates a performance option designed to support 4K Ultra HD video recording with UHS enabled host devices. 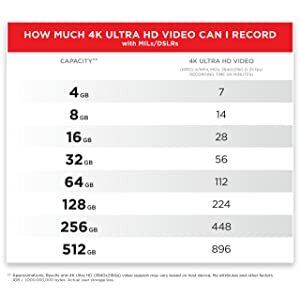 (3) Full HD (1920×1080) and 4K Ultra HD (3840 x 2160) video support may vary based upon host device, file attributes, and other factors. (4) 1GB = 1,000,000,000 bytes. Actual user storage less. 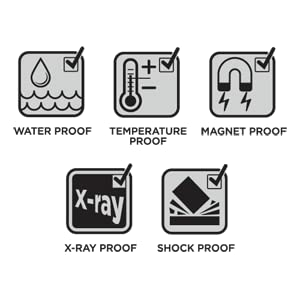 (5) See product packaging/proof for additional information and limitations. (6) Registration required; terms and conditions apply. (7) 30-year warranty in Germany, Canada and regions not recognizing lifetime warranty.